Lightning McQueen and his friends Sally, Mater and Mack the Truck are touring Europe this summer and as part of their UK tour they are making exclusive appearances in London, Manchester, Oldbury, Bristol, and Reading. For more information about the tour and other live Disney events visit the offical Disney live website. Just like we dreamed it. Here is a Lip Dub of “Just like we dreamed it” from a group of French fans from the disneygazette.fr forum. 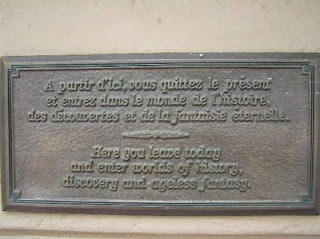 Here you leave today and enter worlds of history, discovery and ageless fantasy. Welcome to the Salon Mickey blog, which will feature news and articles about all things Disney and especialy Disneyland Resort Paris from a British Shareholders perspective.